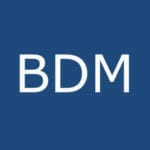 David joins BDM after 21 years at another international shipping law firm. Earlier in his career David was named by Legal Business magazine as one of the “Top 30 lawyers under 30” in the UK. He has a wealth of experience across the shipping, insurance, trade and logistics sectors and has developed close links with clients across Southern Europe including in Italy due to his native Italian language skills. David’s experience extends to all forms of international arbitration including LMAA, LCIA, ICC, FOSFA and GAFTA arbitrations. He has handled several large casualties over the years and is well regarded by the Italian hull market. His knowledge of shipping, trade and commodity contracts means that he can deal with most problems in a fast and efficient manner. In addition, David is also an experienced and seasoned commercial litigator in the High Court. He handled BDM Law’s first (and successful) case in the English Court of Appeal and was extensively involved in the high profile Ferrari case. Recently, he has been busy on a number of collision and salvage cases for Greek and Italian clients.